Can Stores Get Ahead Of Rangers? WHILE congratulating Enugu Rangers a few weeks ago on their Nigeria Premier League title triumph after a 32-year wait, I admonished the club management to “seize the moment” to begin the process of privatizing and commercializing the football club in order to guarantee a sustainable financial future. Unfortunately, it appears that is the last thing on their minds now as everyone around the club is jostling for a piece of the action when they go continental next season. Pity. The exact opposite is the case with Stationery Stores of Lagos. Effectively defunct as a football club and existing only in name and in the minds of its die-hard supporters, the Flaming Flamingos are fighting to rise up again. 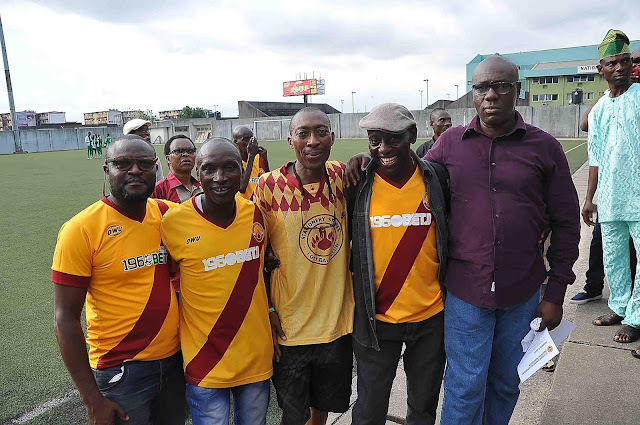 Last Saturday at the Legacy Pitch of the National Stadium in Lagos, I was chairman of the occasion as Stores presented awards to several people, some post-humously, who contributed to making them a household name in Nigerian football. But before the awards ceremony, officials from Lagos State Ministry of Commerce inaugurated the Stationery Stores Supporters Trust which has the objective of launching a contributory scheme for the financial benefit of its members. 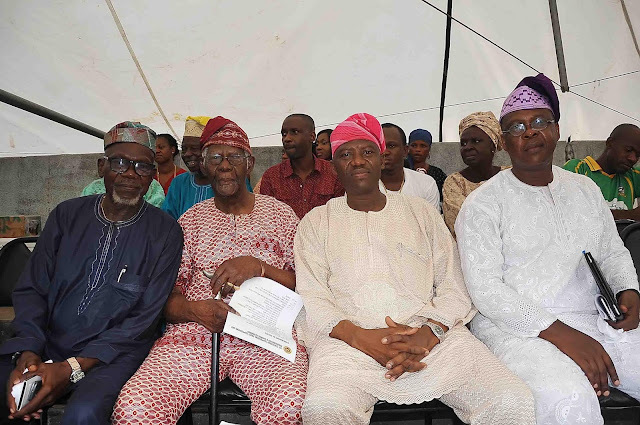 Three officials, Pastor Eliashib Ime-James (national president), Yomi Opakunle (national secretary) and Soji Akintola (national treasurer) were sworn in as the first executives of the Trust on a two-year tenure. As laudable as the Trust initiative is, it would definitely have met with greater enthusiasm if it had happened when Stationery Stores were at their peak. That is a lesson that I hope Rangers will learn: To make hay while the sun shines. 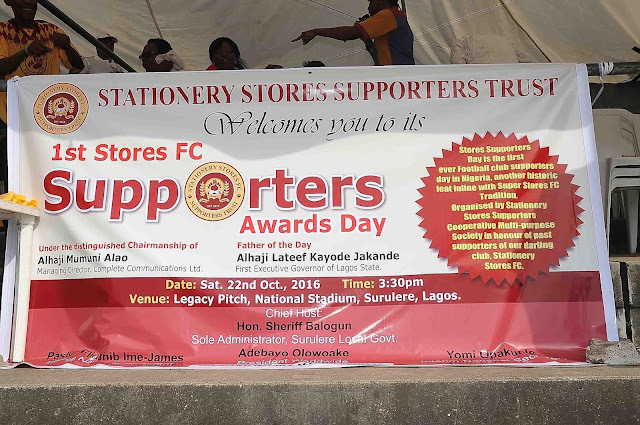 Back to the Stores awards, I was greatly honoured to chair an event where the first executive governor of Lagos State, Alhaji Lateef Jakande was an award recipient for the pivotal role he played in restoring the Onikan Stadium as home ground for Stationery Stores in 1982. Jakande who is also one of the living legends of Nigerian journalism (he edited the Nigerian Tribune in the early years of the publication) attended the ceremony with his wife, Alhaja Abimbola and it was my privilege to invite him to do the ceremonial kick-off for the second half of the event’s commemorative football match. 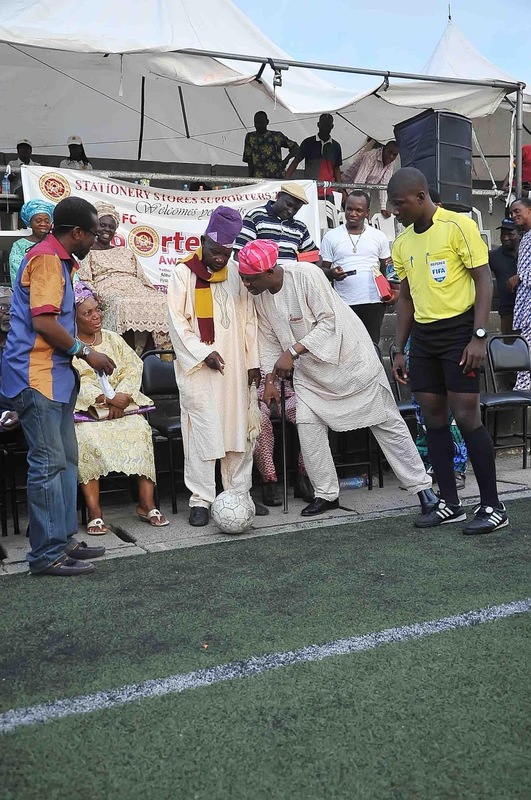 Looking towards me, Baba Kekere who is 87 years now asked: “When am I to kick the ball?” “Please, do so right now, sir,” I prompted and he responded to great applause. Another award recipient was Mr. Peter Osugo, the doyen of Nigerian sports journalism who wrote under the pen name, PECOS, and was credited with giving the Nigerian national team nickname, Green Eagles. Now also 87 years, PECOS received an award as the First Team Manager of Stores in their hey days. Yet another award recipient was Mr. Segun Adenuga, also a veteran journalist of repute who played a key role in Store’s league title win of 1992. I will write about Adenuga’s deeply interesting story in this column very soon. Watch out, don’t miss it. Also present at the event was Kunle Solaja, football historian extraordinaire and, of course, my humble self. It was indeed a coming together of journalists from different generations. There were also several Stores players at the awards whom I had interviewed and written about as a Complete Football reporter in the late 1980s and early ‘90s. Taiwo Oloyede, Ifeanyi Aghenu, Sunday Ilevbare, Collins “Barbed Wire” Ebitimi. They were all part of the 1992 League winning side that was financed by a certain “Mr. Anonymous,” Snr. Evangelist Lawrence Olusola Idowu who also received an award on Saturday. What a nostalgic day. I enjoyed myself thoroughly. Some Stores fans seized on the event to agitate for the return of their beloved club to the Nigerian League. 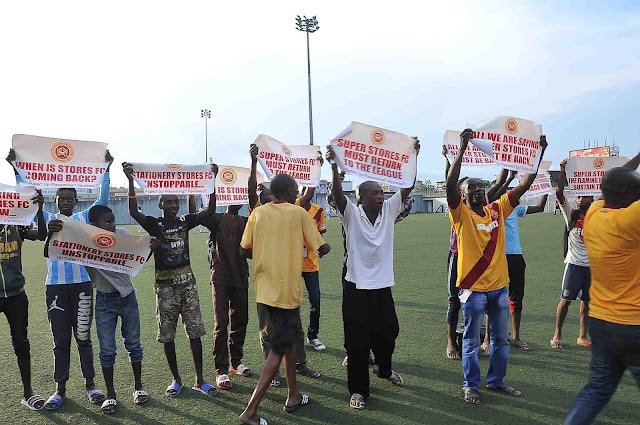 They displayed placards and sang songs in praise of the Adebajo family whose late patriarch, Isreal Adebajo founded the club in 1958. 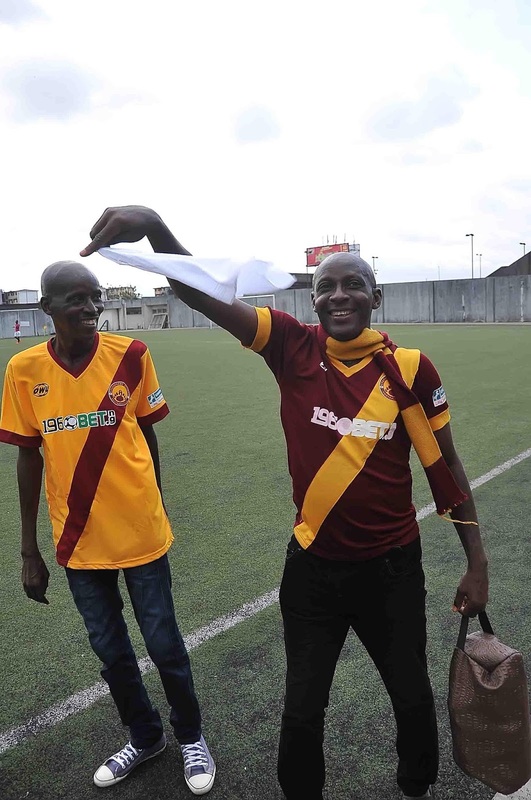 Two of Adebajo’s grown sons Gbenga and Tilewa were present on Saturday and heard the cries of the supporters club first hand. The challenge is theirs to support their father’s legacy and keep the Flaming Flamingoes going strong. 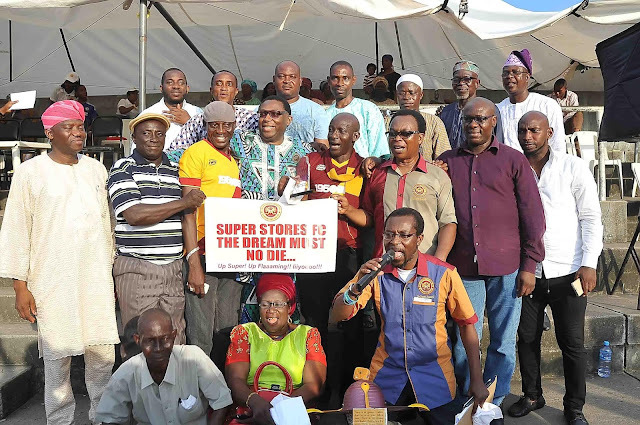 From all indications, the supportership base of Super Stores is as strong and passionate as ever. Gbogbo wa l’ore Adebajo (We’re all friends of Adebajo). So, when I say, Super Stores!!! You say, International!!! Sincerely wish we could have Stationery Stores back in the premier league. Launch a trust fund towards this effort and and you'll be amazed at how well it will be received. Still my number one club.